St Breock Bed and Breakfasts. Compare latest rates and Live availability for all your favourite places and places you have always wanted to go using our new My Shortlist feature. Click + to add to your Shortlist. Bed and Breakfasts in St Breock, Cornwall for 1 night from Fri Apr 19, 2019 to Sat Apr 20, 2019 within 10 miles, in an Average Nightly price range of £1 to £200. Family home run by Felicity who will go the extra mile to make your stay memorable. Ideally situated on the edge of town with a sunny aspect. The day starts with a hearty breakfast whether a full Cornish or just cereals fresh fruit yogurt and croissant. Dinner can be arranged if required. br / br / br / br / WADEBRIDGE is a lovely town sitting on the Camel Estuary. Our bed and breakfast GWYNARTH is a 5 minute walk into the centre. Offering a comfortable stay in either a Queen ensuite wet room or a twin ensuite. .both rooms are on the ground floor. Our rooms are clean and bright with comfortable beds TV tea and coffee and free WIFI. There is also a large garden for guest to relax in and should the weather permit breakfast can be served. br / br / br / br / On our doorstep are several eateries and bars all within walking distance. THE CAMEL TRAIL starts here . South to PADSTOW and North ton BODMIN and beyond. br / br / PADSTOW is a wonderful working fishing village with an abundance of great restaurants and many boutique type br / br / shops. Boat and fishing trips set off from here daily. br / br / br / br / PORT ISAAC of DOC MARTIN fame isa 10 mile drive away. A pretty fishing village as seen regularly on TV br / br / THE SOUTH WEST COASTAL PATH can be picked up from here. Some beautiful walks with stunning views. br / br / br / br / GWYNARTH is ideally situated th explore the whole of CORNWALL. THE EDEN PROJECT 40 minutes. LIZARD PENINSULA ST IVES LANDS END. approx 1.5 hours. TRURO our capital abour an hour. Lovely shops and a lovely Cathedral br / br / CORNWALL can boast many NATIONAL TRUST properties. The closest being LANHYDROCK. br / br / br / br / We are close to so many gorgeous beaches for swimming surfing sailing wind surfing and fishing. Most of these places can be reached by a limited bus service but it is recommended to have your own transport. br / br / NEWQUAY AIRPORT is half an hour. Flights from GATWICK daily. BODMIN PARKWAY on the mainline from PADDINGTON about 40 minutes. Lanarth Hotel is a family run business situated on the main A39 at St. Kew Highway between Wadebridge (4 miles) and Camelford (7 miles). The hotel is set amidst Cornwall's quiet and scenic countryside surrounded by its own tranquil and secluded grounds and gardens. 14 Padstow is located above the historic town and working port of Padstow on the North Cornish coast. The town is a 5 to 10 minute walk down the hill where you will find food lovers paradise restaurants include Paul Ainsworths No 6 (1 Michelin star) Rick Steins Seafood Restaurant and many more. Padstow offers a good selection of shops cafes bars and pubs many of them nesting around the picturesque harbour. br / br / br / br / The Camel Trail starts and finishes at Padstow it offers 18 miles of walking/cycling along a disused railway track which includes hugging the banks of the Camel Estuary and going though the beautiful Camel Valley. The trail is a SSSI (site of special scientitic interest) and SAC (special area of conservation) wildlife abounds on this trail. Bikes can be hired at various points along the trail. br / br / Within easy walking distance from the house are the sandy beaches of St Georges Well Tregirls and Hawkers Cove. A short drive will take you to The Seven Bays a collection of wonderful individual sandy beaches. br / br / br / br / We are ideally located for the Southwest Coastal Path which can be accessed within a 10 minute walk from us. Take the foot ferry across to the well known village of Rock (playground of the rich & famous and sometimes royalty) and walk along the dunes to St Enodoc Church where Sir John Betjeman is buried and back across the beach to Rock. br / br / br / br / We are in easy reach of The Eden Project Lost Gardens of Heligan St Micheals Mount and The Tate at St Ives. br / br / We offer a beautifully appointed suite which includes private lounge bedroom with king size bed second single bedroom (for third guest) and bathroom with spa bath. The suite is tastefully decorated and very comfortable. br / br / br / br / We include a Cornish breakfast which is freshly cooked to order using locally sourced produce where possible served in your private lounge which should set you up for the day! br / br / br / br / br / br / Free WiFi br / br / br / br / We have 1 cat but does not access guest rooms. The Old Chapel House has a real wow factor, and is situated on the edge of one of North Cornwall's most popular villages, St. Mabyn. Surrounded by beautiful countryside and panoramic views; there is easy access to the coast, moorland and golf courses. In the idyllic secluded cove of Port Gaverne, this charming 17th-century inn has light, airy rooms with free WiFi throughout. The hotel restaurant uses seasonal produce including fresh fish caught locally. With antique furniture and other traditional features, no 2 bedrooms at the Port Gaverne Hotel are the same. Features in each room include a satellite TV, radio, private bathroom with a hairdryer and complimentary Cornish biscuits. Guests can enjoy freshly baked bread, home-made petit fours and daily changing specials in the restaurant. The bar is full of character, boasting slate floors, wooden beams and a wide range of real ales. A hearty Cornish breakfast is offered daily. The beautiful, peaceful North Cornwall Heritage Coast is on the hotel's doorstep, with the beach just moments away. Port Isaac is a 5-minute walk away, or the large sandy beach at Polzeath is a 15-minute drive. Built in 1411 St Benet’s Abbey Historic House is a unique building standing right at the heart of Cornwall. St. Benet’s Abbey Historic House – Bed &amp Breakfast is a family run business. Although offering all modern comforts, the building retains the charm and character of its historical past. The six bedrooms are well furnished in an individual style, with en suites, colour TVs, central heating, hair dryers and tea/coffee making facilities. The abbey has ample off-road parking. Luxury Bed and Breakfast Retreat for 2 to enjoy peace and tranquillity in this secluded setting with views across the stunning Cornish countryside with beaches near by. This luxurious spacious studio apartment has a bespoke fully equipped kitchenette, a King size super comfy bed and a lovely patio and garden for you to enjoy. The private shower room is decorated to the highest standard. The village pub and restaurant, woodland walks, village shop, cafe and post office are all within walking distance. 'The Bothy' is what Cornish cottage holidays are all about. B+B or self-catering. One of the nicest holiday cottages in Mid-Cornwall just 2 miles from The Eden Project. Set in the beautiful gardens of Poldurn, which are yours to enjoy at your leisure. Eden s Rest is a Visit England 4 star rated B&B offering traditional quality Bed & Breakfast with a contemporary twist. br / br / Situated in the village of Bugle at the end of a quiet cul-de-sac overlooking a small coppice and the village park Eden s Rest provides a quiet haven away from main roads for you to relax and unwind in comfort Our spacious bungalow offers two beautiful guest rooms-The Orchid Room & The Rose Room-on ground level with easy access throughout for those with limited mobility. We are ideally placed midway between coastlines for all local tourist attractions just 8 minutes from Eden and within a 2 minute walk of all village amenities including the village pub. We have ample off road parking for guests and offer a local pick-up service by prior arrangement if requested. br / br / Our two Guest rooms are tastefully decorated and furnished in contemporary style to a high standard including: television with Freeview free WiFi iPod/alarm clock radios hair dryers tea & coffee facilities with fresh milk on request complimentary toiletries and Tourist Information Packs.Both rooms have ultra comfortable Super King Size beds which can be spilt into a twin if required. The Orchid Room has en-suite facilities while the Rose Room benefits from exclusive use of a large private bathroom including corner shower unit and dry changing area. br / br / br / br / Prices start from �37 pppn for two people sharing a double room with a Single Occupancy of a double room starting at �65. pppn. May-Sep min 2 night stay. All prices are inclusive of a full wide ranging English Breakfast which can either be taken in our Breakfast Room or on our patio decking area weather permitting! br / br / Guests have full use of a private lounge for use during their stay - enabling you to relax in comfort rather than stay in your room. The lounge has a 37inch LCD TV DVD with Cinema Surround Sound and a selection of DVD s and board games for those unpredictable Cornish summer days! br / br / Eden s Rest - a real home from home! Our spacious bungalow offers two beautiful guest rooms on ground level with easy access throughout for those with limited mobility. Both rooms have Super King Size beds which can be spilt as a twin. We are ideally located midway between coastlines just 8 minutes from Eden and a 2 minute walk from village amenities. A Pick up/drop off service to Eden is also available .Rooms from £35.00 pppn with a Single Occupancy of a double room from £50.00 pppn. See our great reviews on Trip Advisor. With free bikes and a garden, Trewornan Manor is located in Wadebridge and features free WiFi. The bed and breakfast offers a flat-screen TV and a private bathroom with free toiletries, a hair dryer and shower. Guests at Trewornan Manor can enjoy a continental or a buffet breakfast. The accommodation offers a terrace. If you would like to discover the area, cycling is possible in the surroundings. Newquay is 29 km from Trewornan Manor, while Padstow is 16 km away. The nearest airport is Newquay Cornwall Airport, 23 km from the bed and breakfast. Hustyns is a luxurious hotel with modern 3 bedroom lodges located in a meticulously landscaped private world all of its own. It comprises of 37 luxurious rooms and suites in the main hotel and lodges lost in 100 acres of Cornish woodland. Located in the heart of North Cornwall Hustyns is a hotel near Wadebridge and only a 20 minute drive to the beaches of Padstow and many other prized attractions in Cornwall. br / br / br / br / The resort features a health and fitness club with extensive facilities including a 20 meter indoor heated pool fitness suite steam room and sauna. A tennis court and crazy golf are also available to guests for their leisure. Various spa treatments area available with prior appointment. br / br / br / br / In addition to the various activites a leisurely and relaxing stroll around the resort will take you to the duck pond where kids can feed the ducks the fish pond and within a few feet of the famous Camel Trail. For the truly adventurous a tour of the on-site Underground Nuclear Bunker can b arranged. br / br / br / br / Off site guests have a plethora of activities. The camel trail is accessible in a couple of minutes. Padstow features famous restaurants including Rick Steins and Paul Ainsworth s which are a short drive away. The Cornish Coast Adventures the Point at Polzeath Camel Trail Crealy Adventure Park and Polzeath Beach are all points of interest which are within a short drive. Boasting a tennis court, Hustyns Resort is set in Wadebridge and also provides a fitness centre and a garden. This 4-star hotel offers a spa experience, with its hot tub and sauna. The hotel has a children's playground and an indoor pool. Guest rooms in the hotel are fitted with a flat-screen TV. The rooms are equipped with a private bathroom, and selected rooms also feature a balcony. The rooms feature a seating area. You can play table tennis and mini-golf at Hustyns Resort. Newquay is 18 km from the accommodation, while Falmouth is 39 km from the property and Padstow is 20 km away. The nearest airport is Newquay Cornwall Airport, 12 km from the property. Located on Padstow's busy harbour front, the 4-star Metropole boasts views of the town and Camel Estuary. There is a popular restaurant as well as bright, individually styled rooms. With a TV, work area and a private bathroom, many of the rooms also enjoy views across the water. Free tea and coffee, a hairdryer and ironing facilities are also included. The Metropole's restaurant looks over the harbour and uses Cornish produce to create a daily menu. Guests can enjoy afternoon cream teas, and the Met CafÃ© Bar provides light food. The restaurants of Padstow harbour, including those of famous chef Rick Stein, are within just a few minutes' walk. A seasonal outdoor pool is open during July and August, whilst the hotel also has pretty landscaped gardens for guests to relax in. The secluded Longcross is set high above Port Quin, between Port Isaac and Polzeath, and overlooks the North Cornwall coast. Enjoy the new restaurant with terrace and panoramic views. Surrounded by green expanses and splendid gardens, Longcross is ideal for a relaxing break. Surfing beaches, Rock, the Camel Estuary and the championship golf course at St. Enodoc are within a 20-minute drive. The Eden Project is a 40-minute drive. The elegant bedrooms are well-decorated, and some have views of the sea. The hotel has free Wi-Fi access throughout, and there is a play area for children. Tredethy House is a beautiful peaceful and informally elegant English Country House set in an area of outstanding beauty. Built in Tudor times and later extended it has been the unique home of many British families and of Prince Chula of Thailand until the late sixties. A delightful and unique holiday spot today Tredethy offers privacy and the blissful peace of the countryside whatever the season and is yet at easy reach of the North and South Coast as well as the many places of interest such as the Eden Project and the divine National Trust Houses and Gardens of Cornwall. The seven acres of grounds at Tredethy are themselves a piece of history with original planting like the most beautiful Hydrangeas and pink Rhododendrons. March hosts hundreds of narcissus April is time for the breathtaking display of bluebells followed by wild garlic and blue and pink wildflowers. Autumn is a fantastic season full of colour and peace and lots of anticipation for the festive season we all look forward to every year. St Tudy Inn is set in Saint Tudy and features a bar. All rooms feature a flat-screen TV with satellite channels and a private bathroom. The restaurant serves British dishes. The units at the inn come with a seating area. Guest rooms will provide guests with a wardrobe and a coffee machine. A variety of popular activities are available in the area around the property, including cycling and hiking. Newquay is 37 km from St Tudy Inn, while Padstow is 23 km from the property. The nearest airport is Newquay Cornwall Airport, 31 km from the property. The Harlyn Inn and cottages at Harlyn Bay are just metres away from what is considered to be one of the safest beaches on the north Cornish coast the ideal place for an enjoyable Cornish holiday. Nestled in the town of Bodmin, The Westberry Hotel features free WiFi and outdoor dining in the secluded garden during the summer. Guests can enjoy a mix of Oriental and European cuisine at the Steak and Thai Restaurant which offers panoramic views over Bodmin. All of the 21 bedrooms are en-suite, and include a flat-screen TV, a radio, ironing facilities, a telephone and tea/coffee making facilities. The Westberry Hotel has a function suite which can accommodate both business and leisure use. There is also a private bar and dance floor. The Eden Project is situated just 10 miles from the Westberry whilst the Lost Gardens of Heligan are 18 miles away and Port Isaac is 15 miles away. Camel Cycle Trail is 1.2 miles away and Bodmin Jail is just 0.5 miles away. Less than a mile from the A30, the Lanhydrock Hotel offers lovely views of its 18-hole golf course. With free Wi-Fi throughout and free parking, the hotel offers stylish and modern en-suite rooms, along with a modern fitness suite. The golf course provides a stunning backdrop for the airy Nineteen Bistro. Focusing on modern British food, the menu features local seafood and fresh produce. The bar serves snacks and light meals and has a plasma-screen TV showing sporting events. Home-made cakes and cream teas are available throughout the day. Special rates are available for guests using the Lanhydrock Golf Club. Expert tuition is also available. The golf course also provides charming views, seating areas and strolls for non-golfers. Lanhydrock House, a magnificent Victorian country house, is less than a mile away. The Eden Project and the Charlestown Shipwreck Museum are both within 15 minutes' drive from the Lanhydrock Hotel and Golf Club. 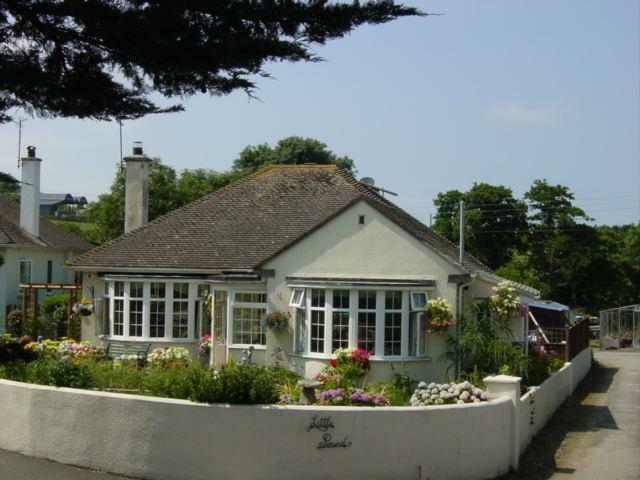 The Chapel Guest House offers accommodation 4.8 km from St Austell. Free WiFi and free parking are provided. Each room comes with a flat-screen TV. Each room has an en suite shower room. For your comfort, you will find complimentary toiletries, fresh towels, tea/coffee making facilities and a hairdryer. Guests can enjoy the buffet-style breakfast, with cooked items including vegetarian options. There is a small local pub 5 minutes' walk from The Chapel Guest House. The Eden Project is only 10 km from the property, whereas the Lost Gardens of Heligan are 12 km away. The nearest airport is Newquay Cornwall Airport, 16 km from the property. The Chapel Guest House formerly a Methodist Chapel was originally built in 1862 in the Hamlet of Carthew. br / br / br / br / This imposing building has been sympathetically converted to provide accommodation and retains many of the original features of the Chapel. br / br / There are large arched granite windows with coloured glass to the front and glimpses of trusses and keystones are evident throughout the building. br / br / With prices starting from �85.00 per night the Chapel offers luxury accommodation in 5 Guest rooms which have been simply yet tastefully decorated. br / br / All rooms have new mattresses and are made up with fresh clean linen br / br / All of our rooms are en-suite with toiletries and fresh towels provided. br / br / br / br / Every room contains a flat screen television hair dryer and tea and coffee facilities. br / br / We provide free parking (No Commercial vehicles please) and WiFi. br / br / We welcome business bookings but no dirty work clothes / boots. br / br / br / br / The Chapel Guest House offers a comprehensive breakfast menu to suit all tastes including vegetarian options. br / br / Our Breakfast room opens between 8:30 am & 10:00 am. br / br / If you have any special dietary requirements such as gluten or dairy free please let us know.. br / br / br / br / Check In: from 4 pm until 8 pm. (Please inform us if you plan to arrive outside of these times) br / br / Check Out: by 10:30 am. br / br / br / br / The Chapel is nestled in a wooded valley in the hamlet of Carthew just north of St Austell br / br / Many attractions are close by such the Eden Project and the Lost Gardens of Heligan and a wide choice of beaches are all within a short hop br / br / There are many local villages all worth a visit including Mevagissey Fowey and Charlestown br / br / The Sawles Arms is a small local Pub only 5 minutes walk from the Chapel where you will given a warm Cornish welcome br / br / br / br / Unfortunately we are unable to accept pets. This is because we have 2 dogs. br / br / br / br / A travel cot is available for �10 per night. br / br / br / br / Please note: Rooms 1 2 & 5 have macerating toilets which emit a pump sound when used. Barkley s Bed and Breakfast is in the market town of Wadebridge between Port Isaac and Padstow in beautiful North Cornwall. The landscape and stunning beaches which make up the dramatic North Cornwall Coastline stretches for miles with many hidden away gems along the way. Wadebridge itself has its origins in the 14th century with the River Camel passing through the town on its way down the estuary to Padstow. The Camel Cycle/Walking Trail (originally the thriving railway line) runs along side so there are many opportunities to relax enjoy the town and other easy to reach attractions. br / br / Barkleys has three en-suite guest rooms to choose from a large bright breakfast room and cosy lounge for guests relaxation. The recently renovated Edwardian house sits just a two minute walk from the centre of Wadebridge where there are many interesting independent shops a selection of pubs and quality restaurants for you to enjoy. The rooms feature comfy beds dressed in fresh white linen with soft fluffy towels and complimentary toiletries. They have modern televisions the front rooms with DVD hairdryers and either the latest jet shower wet room or private bathroom with bath and shower. There are tea and coffee making facilities in the breakfast room available throughout guests stay as well as a fridge for storing drinks or food. br / br / Breakfast at Barkleys is a truly local affair freshly prepared to your requirements. It doesn t have to be the full Cornish every day there is a breakfast buffet table with cereals fresh fruit yogurts and fresh juices and other alternatives such as smoked salmon and scrambled eggs or porridge. If it is the full Cornish you can look forward to local sausages and bacon along with tomatoes and mushrooms all topped off with fresh free range Cornish eggs cooked just how you like them. With a cafetiere of Fair Trade coffee or a pot of Cornish tea local preserves and bread from the towns bakery I aim to make breakfast the best start to your day. Wadebridge Bed and Breakfast offers 4 star gold quality accommodation in a modern contemporary house a short walk away from Wadebridge town centre. We strive to make your stay as enjoyable as possible with the highest levels of customer service and care from the moment you arrive to when you leave. If you’re looking for a great nights sleep luxury bathrooms with plentiful showers and a full breakfast Wadebridge Bed and Breakfast is the place for you! Wadebridge Bed and Breakfast offers the choice of three luxury guest rooms and is perfect for a relaxed getaway in this stunning area. There is free superfast wi-fi in all rooms and throughout the house free parking and secure storage for bikes and surfboards and every day starts with a freshly prepared AA Award winning Cornish breakfast of your choice. br / br / The delightful rooms are clean and spacious and feature fresh sumptuous Egyptian cotton linen to ensure a good nights rest. The en-suite bathrooms feature powerful showers under floor heating and electric towel rails as well as fluffy white towels robes and slippers. In the room there are tea and coffee making facilities with fresh milk bottled water and biscuits and a flat screen Smart TV with free Netflix movies. The Polzeath room features a balcony with views over the town as well as an en suite bathroom with bath and shower. br / br / Situated close to the Camel Trail - 18 miles of flat level off road walking and cycling with frequent bus links and easy access to the South West Coast Path Wadebridge itself is a market town with plenty of interesting and unusual independent shops and several good restaurants all within walking distance of the house. Fine dining with Rick Stein Nathan Outlaw and Paul Ainsworth is just a few miles away. br / br / There are not many places and attractions in Cornwall that cannot be reached within an hour of Wadebridge including National Trust houses some of the finest golf courses in Cornwall and the most beautiful beaches Cornwall can offer such as Polzeath Rock Daymer Bay and Trevone Harlyn Constantine and Treyarnon Bay. Explore a little further and the quaint Cornish harbours of Padstow and Port Isaac (home to ITV s Doc Martin) hove into view along with Boscastle Tintagel and Bude. br / br / Wadebridge Bed and Breakfast operates to high environmental standards with solar panels low energy lighting a full recycling regime and local purchasing.